Speakers are encouraged to register by calling the Clerk of the Board at (913) 833‐5050 by 2:00 PM on the day of the meeting. Speakers may also register at the BOE meeting site, prior to the beginning of the meeting. Presentations shall not exceed 5 minutes. Subjects, other than policy issues, will generally be referred to the administration. Comments shall be limited to issues and not refer to personalities. Presentations must be in good taste befitting the occasion and the dignity of the board meeting. When addressing the board, please be reminded that matters of a personal nature which, by their nature, identify an individual are prohibited by federal law in public discussion. Please assist us in protecting the privacy rights of students and staff. The Board President shall be responsible for recognizing any speaker, maintaining proper order, and adhering to the set time limit. The President may interrupt or terminate an individual’s statement if it is disruptive, not germane to the business or activities of the Board, or in violation of Kansas Statutes regarding meetings or activities of the Board. The Board President may deny any individual speaking privileges if previous conduct of the individual has indicated that the orderly conduct of a meeting may be threatened by that person’s appearance. The President has the option to stop the proceedings and poll the Board to determine if a speaker may continue. During an open session, the Board shall not hear personal attacks, or rude or defamatory remarks of any kind about any employee or student of the School District or any person connected with the School District. The Board will also not accept public comments containing vulgar or obscene language. Any individual wishing to make a complaint about school personnel shall submit the complaint in writing to the Superintendent. If the complaint involves the Superintendent it shall be submitted in writing to the President of the Board. Purpose: To approve Meal prices for the 2018-19 school year. Purpose: To approve textbook and other miscellaneous fees for the 2018-19 school year. Recommendation: To approve the 2018-19 Textbook, Technology and Activity fees as presented. Purpose: To approve district and building level handbooks for the 2018-2019 school year. Recommendation: To approve the 2018-19 Handbooks as presented. Purpose: To accept bid to repair the circle drive. 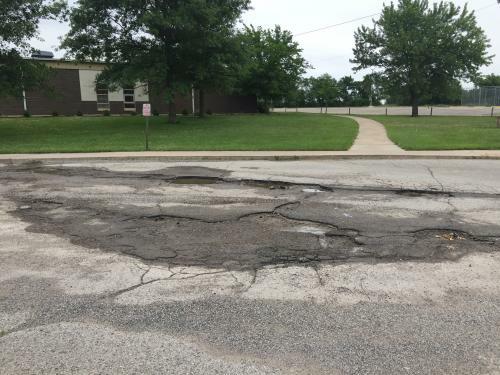 Background: The potholes in the circle drive have gotten increasingly worse and need to be fixed. 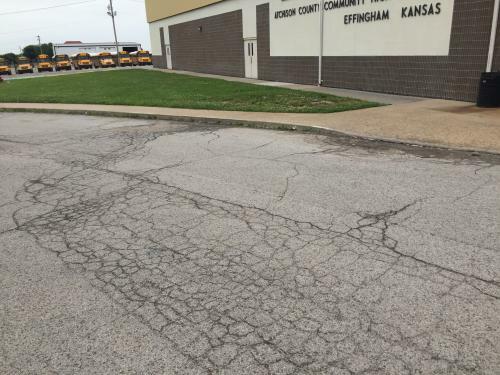 They have been filled with patch in the past and it is time to have the existed asphalt milled out and repoured. Recommendation: To accept the bid from Approved Paving LLC in the amount $6,500 for repairing the designated areas of the JSH Circle Drive per the terms of the bid. Purpose: We are finalizing the iPad phase out and need to purchase Chromebooks to finalize this transition. Background: The Juniors and Seniors were the only grades still with iPads this previous school year. We need to purchase Chromebooks to have them for all student 1st - 12th grade next year. Included in the requisition are spare chromebooks to utilize when student issued devices need to be repaired. We will use our REAP funds for this purchase. Recommendation: To approve the proposal for the purchase of 85 Chromebooks as presented. Purpose: To discuss the direction the district would like to go after the resolution for Capital Outlay authority was protested. Background: Due the resolution for 8 mil authority in Capital Outlay being protested, the district has 45 days to decide whether to proceed with an election. I have requested information from the county clerk in regards to the costs associated with the different types of elections. I hope to have this information to share so that the board can discuss the direction to go. Purpose: To discuss applying for the Safety and Security Grant from the State. Background: The Legislature appropriated $5,000,000 for Safety and Security Grants for School Districts this past session. The grant application is due June 22 and is a dollar for dollar local match grant. This may be an opportunity to make our buildings more secure with the assistance of funds from the State. We worked to get bids quickly to be able to submit the grant but are looking for guidance on the amount of funds the district wants to commit to be able to submit our proposal. Recommendation: To authorize the Superintendent to submit the KSDE Safety and Security Grant with the local match portion not to exceed ________________. Purpose: To set time and date for the July 2018 Organizational meeting. Purpose: To give the superintendent and board clerk authority to closeout the budget for the fiscal year. Recommendation: TO AUTHORIZE THE SUPERINTENDENT AND BOARD CLERK TO ENCUMBER OUTSTANDING PURCHASE ORDERS AND MAKE NECESSARY TRANSFERS TO CLOSEOUT THE BUDGET FOR FISCAL YEAR 2018 AND, IF FINAL GENERAL AND SUPPLEMENTAL GENERAL STATE AID IS NOT RECEIVED UNTIL JULY, TO RECORD IT AS A JUNE 2018 PAYMENT. Recommendation (20 minutes): Move to go into executive session to discuss non-elected personnel matters pursuant to the non-elected personnel exception under KOMA, and the open meeting will resume in the boardroom at_______. Dr Andrew Gaddis, Mrs. Deanna Scherer, Mr. Wallisch, Mrs. Mandi McMillan and Mr. Snyder will be joining as needed. Recommendation: To accept the personnel report as presented.